According to the National Institute of Health, two-thirds of adults are overweight or obese, which puts them at risk of developing serious health complications. 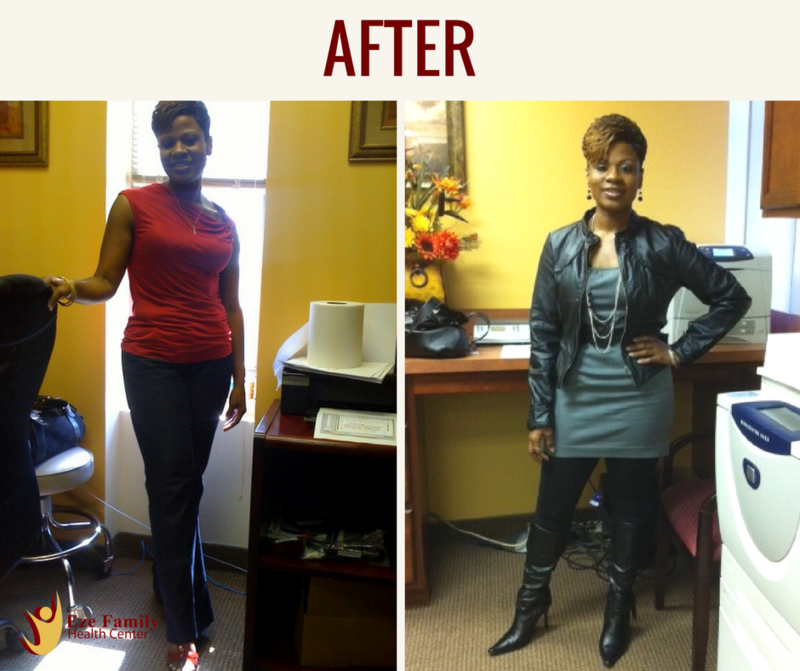 Chinyere Eze and her team at Eze Health Center in Waldorf, Maryland, know that losing weight is often easier said than done. That’s why they offer customized weight loss services to help you reach and maintain a healthy weight. 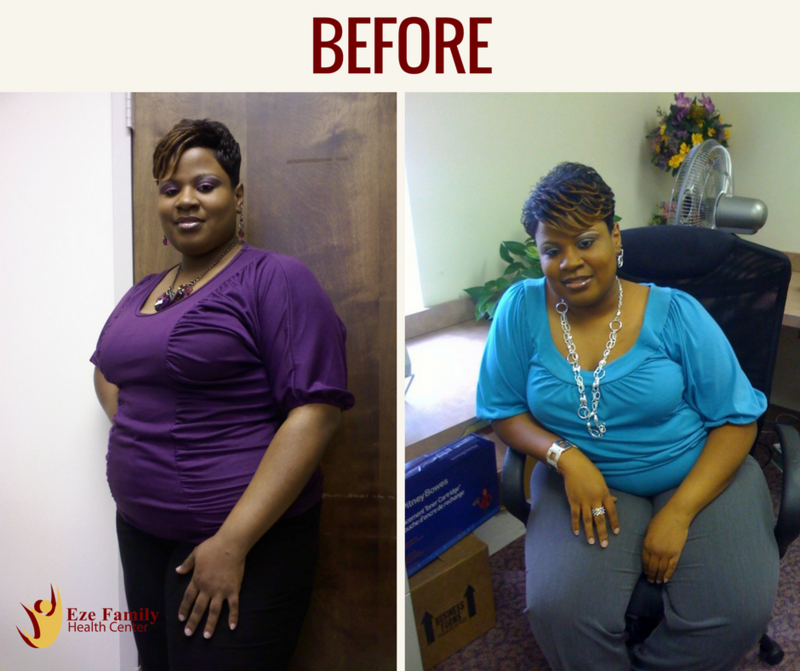 If you want help losing weight and keeping it off, call to make an appointment today. What can I expect from a weight loss plan? Your physician at Eze Health Center provides a comprehensive initial interview and lab testing to identify your needs and reveal any issues that may make losing weight more challenging. Once they understand your health needs, they develop a customized weight loss plan. You’ll have regular visits with your provider to check your progress, monitor your well-being, and make adjustments to your weight loss plan as necessary. What services are included in weight loss treatment? Ms. Eze and the team at Eze Health Center offer weight loss treatment that is customized to address your needs and any identified barriers to weight loss success. Your plan may include any or all of the following services. Your health care provider offers guidance on what, why, and how you should eat, as well as state-of-the-art, customized strategies to help keep you on track. They create a sound nutritional plan to ensure you consume all of the vitamins and nutrients your body needs to stay healthy and function properly. The health care providers also offer customized advice on nutritional supplements and vitamins. For example, many adults are deficient in vitamin D, which helps control your energy levels. Your health care provider also helps you introduce and gradually increase exercise in your normal routine. Exercise and diet control are the most important factors in weight management. Some people eat when they’re bored or sad. Your health care provider helps you identify your eating behaviors and learn to make healthier decisions. They offer the emotional support you need to stick to your plan and reach your goals. Your health care provider may suggest weight loss and craving control medications to help keep you on track. A body fat analysis provides a helpful assessment of how your body changes when you follow the diet plan. For example, even if you don’t drop a lot of pounds in a week or two, you may still lose body fat and increase your muscle mass. What nutritional supplements are used to support weight loss? The health care providers at Eze Health Center offer lipotropic therapy with Lipo MIC-B12 and Lipo MIC-B Complex to support your weight loss. They also use detailed lab work to identify any deficiencies that could hinder your weight loss efforts. You’ll receive customized advice on the best supplements to support your weight loss journey and improve your health and well-being. Call to schedule a consultation today to learn more about how a customized weight loss plan can help you achieve your goals.